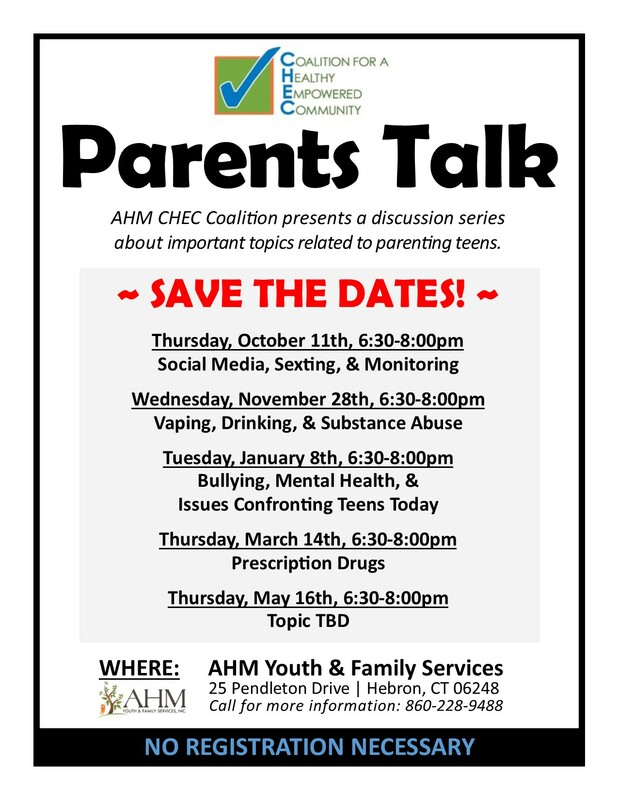 If you have children in grades 6-12 and are interested in attending a group discussion about raising a teen in this decade of social media and substance abuse trends, please join us at “Parents Talk”. 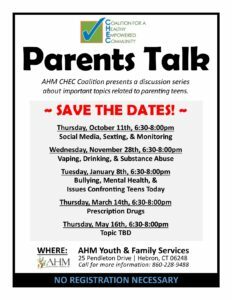 “Parents Talk” will be an informal, confidential gathering for parents about the challenges of parenting adolescents and teens. Addressing issues which affect youth in our community, and how parents can play a crucial role in keeping your teens safe. Please save the dates for the following talks. No registration is required and all talks are held at the AHM building, 25 Pendleton Drive, in Hebron. Please call our office at 860-228-9488 for more information.